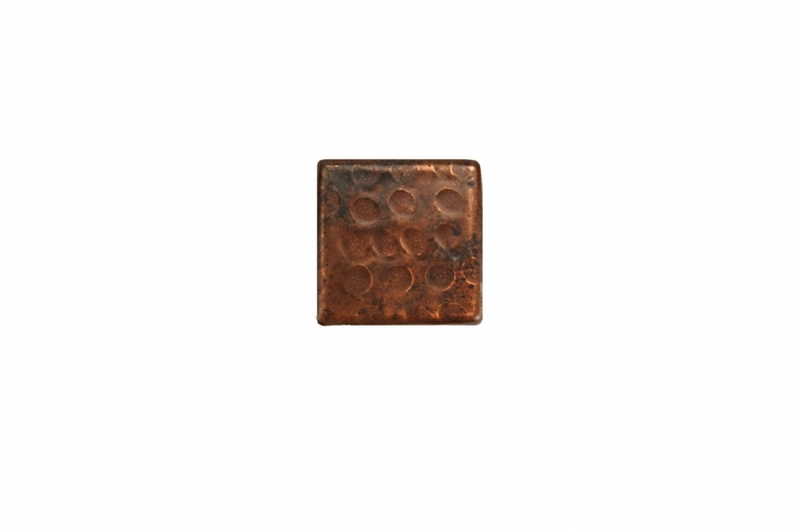 This handsome little tile will make a big statement as part of a back splash. The copper material has a rich brown tone that is accented by the oil rubbed bronze finish. The hammered texture creates a pleasing design made up of rounded shapes. There are so many possibilities using a tile such as this type.